Chemistry & Pharma Traning 2019. 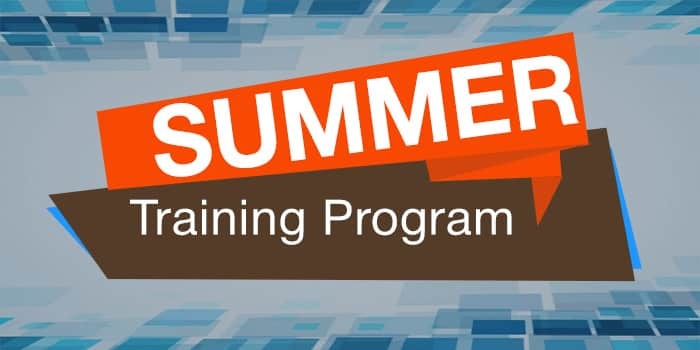 Chemistry and Pharma Summer training programme.NIPER, Summer Training 2019, Summer Training Programme – 2019. chemistry and Pharma Summer Training Programme 2019 notification has been released. You can check out all of the details on the eligibility, duration of the internship and apply online. Sciences from any recognised Indian University. need of summer training for the student in question. NIPER website http://niperraebareli.edu.in/ and furnish all relevant information/documents as mentioned in the application form. (ii) Two passport size photos. (iv) Certificate from the Head of the Department/Institute on the prescribed proforma. the fact that the applicants will also use the sophisticated instruments during their tenure of summer training at the institute. whole period of six weeks in NIPER-R Transit Campus, Lucknow without break. any of these shortcomings is/are detected even after selection for summer training, his/her training is liable to be terminated. (v) Under no circumstances, NIPER-R will be held responsible for any miss happening/accident during the summer training tenure of the candidate. account of technical or administrative exigencies or any other reasons. any of the other terms and conditions. (viii) After completion of the summer training, the trainee has to submit a report to the Director duly forwarded by Supervisor and the Director would issue relevant certificate. Nagar, Lucknow (UP) – 226 002, India.